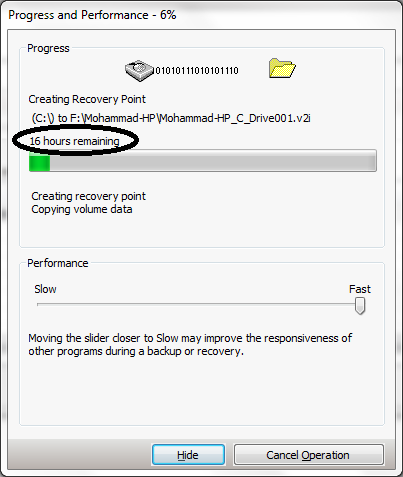 Re: Why did the define backup take too much time(16 hours)? The time will adjust accordingly as it progresses, as there are many factors that can affect backup time. Try letting it proceed and see if the time goes down as the backup progresses. If it does indeed take that long, we can troubleshoot that. Yes, you are correct. 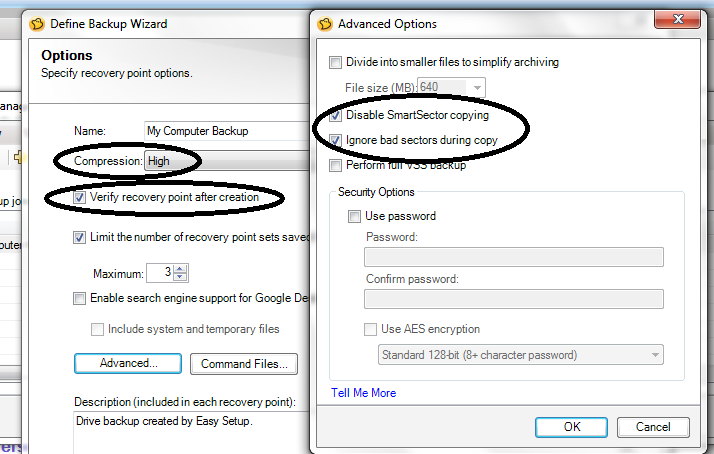 In normal cases you should not disable SmartSector technology. This will cause every block on the drive to be backed up, and the verify will also take quite a long time.